Nutrient absorption is an important (but often overlooked) piece of the healthy diet puzzle. Many people assume that the body absorbs and utilizes everything that it’s fed, but this isn’t the case in reality. Malabsorption can lead to feelings of tiredness and irritability at best, or serious deficiencies at worst. It can also undermine your diet and training efforts, meaning you don’t see the results that you’re hoping for. There are several reasons why the body can have trouble absorbing enough nutrients, including microbiome imbalances, food intolerances, and autoimmune disorders. However, for most people, it’s possible to increase the absorption of nutrients so that they look and feel their best. So, how can you help your body take in more vitamins and minerals? 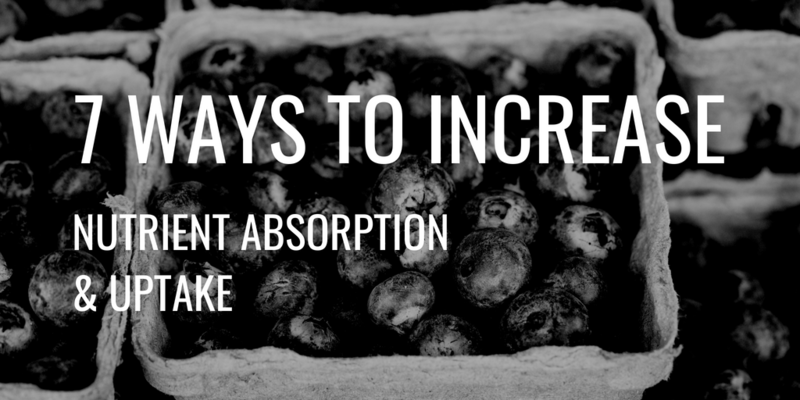 In this article, we discuss 7 practical methods for increasing nutrient absorption and getting the most out of your food. If you’re training for fat loss, then you may be inclined to avoid its dietary sources. Unfortunately, this can lead to vitamin malabsorption and affect other areas of your health. Vitamins A, D, E, and K are all ‘fat-soluble’ which means they can’t be absorbed without a little fat to help them along. 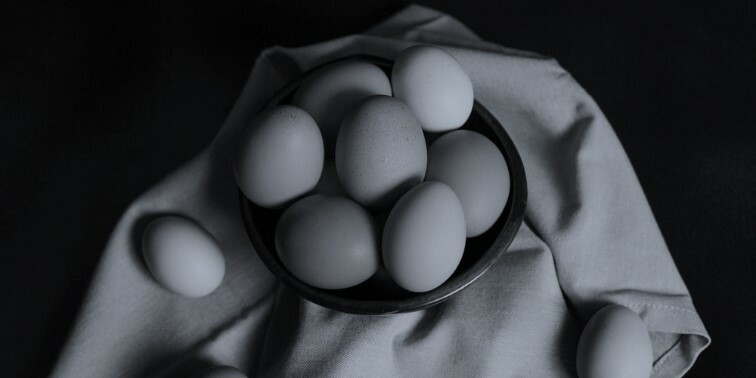 If you’re consuming whole foods then you’ll often find that vitamins come ready-paired with carrier fats, like in the case of vitamin D and eggs or vitamin E and avocado. But if you’re taking multi-vitamins or supplements to top up your intake, then it’s best to take them alongside food or drinks containing healthy fats. A spoonful of nut butter or avocado will usually do the trick nicely. Choosing high-quality ingredients will also help you to improve nutrient absorption. As a general rule, fresh produce that’s been recently picked will contain more vitamins and minerals than frozen or canned alternatives. Since you’re consuming a higher concentration of these essential compounds, the absorption of nutrients will also be increased. This is the case for tablets and supplements too – better quality products may have a slightly higher price tag but they’ll also contain nutrients that are more bioavailable than the cheap alternatives. They’ll more likely be in an ‘active’ form that the body can digest and absorb easily, as opposed to a chemical form that is automatically excreted. Eating straight after you train is another way to maximize nutrient absorption. Exercise depletes your body of energy reserves as well as the nutrients that support carbohydrate, fat, and protein metabolism. Once your workout ends, your body switches into rebuilding mode and is at its most receptive to incoming nutrients. So, take full advantage by eating a small meal or consuming a supplement immediately after training. You’ll absorb more nutrients, recover more quickly, and see results faster too. Check out our article on the best post workout meals that can help you gain muscle and lose weight for some ideas. 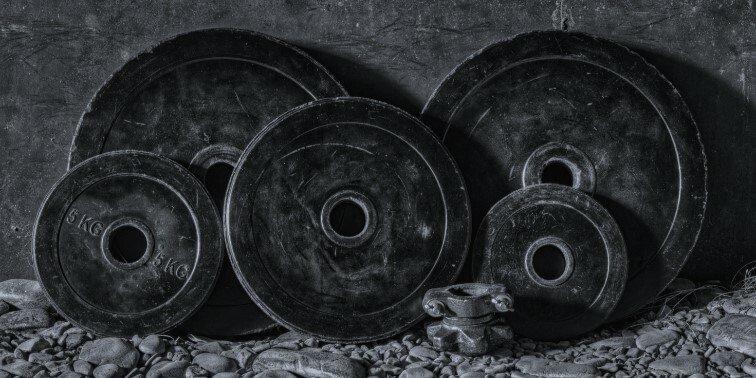 Consuming enough iron is essential for muscular hypertrophy and aerobic training. The mineral helps to transport oxygen in the blood and build cellular structures that contribute to muscle growth. However, calcium inhibits iron absorption as it competes for the same transporters that allow it to be absorbed. When you eat a meal that contains both iron and calcium (such as fortified cereal and milk) then these minerals rival each other for absorption in the small intestine. Vitamin C has the opposite effect and actually enhances iron absorption, making it the ideal meal companion. Having a glass of orange juice with your cereal will help boost your iron intake so that you can build muscle more efficiently. Piperine is found in black pepper extract and can help to improve the effects of nutritional supplements. It inhibits ‘glucuronidation’ which is a process by which the liver maintains appropriate levels of compounds in your body. In some cases, this process can completely negate the effect of supplements, rendering them useless. But by inhibiting this process, piperine allows supplements to spend the right amount of time circulating in your body so that they can have the greatest effect. This is why we include it in the formulas for our Thyrovate™, Magnitropin™, and Alphadex™ supplements. If you’re trying to achieve a lean, muscular physique then you’ll know that alcohol can be detrimental to your efforts. It’s calorie-dense which can lead to energy overconsumption and fat storage. Not to mention the unhealthy junk food cravings that hangovers produce! But alcohol can also decrease the digestive enzymes in your gut which means your body can’t absorb nutrients as well. Limiting your intake helps to maintain healthy enzyme levels so that you can get the most out of every meal. You might not think as stress as a factor in your diet but it can have a big impact on nutrient absorption. When the body is stressed, it releases a hormone called cortisol which slows down the digestive system. In ancient fight or flight mode, this enabled the body to redirect energy to battling or running. But in the modern world, it simply means that we don’t digest our food as efficiently and absorb fewer nutrients from our meals. You can avoid this by taking steps to reduce stressors in your life and incorporating practical solutions like mindfulness techniques or Broga (yoga for men). If you do feel stressed at meal times, then try delaying your food until you’ve taken 5 deep breaths and slowed your heart rate back to normal. Choosing high-quality ingredients, consuming healthy fats, and eating straight after workouts can help to maximize nutrient absorption and boost their effects. Alcohol and stress can both reduce your ability to absorb nutrients so it’s important to take steps to avoid these factors. Being smart about how you combine food and choose supplements will also ensure that you get the most out of your meals. Our Thyrovate, Magnitropin, and Alphadex supplements all contain Bioperine (from black pepper extract) to increase nutrient absorption and maximize results. Magnitropin also includes Gentiana Lutea extract to stimulate gastric juices and improve overall digestion. Learn more about our scientifically-developed product range here.